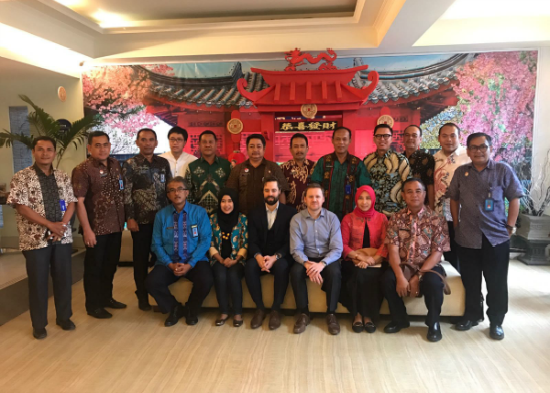 The Global Center delivered a seniors prisons leaders workshop on countering violent extremism in prisons (CVE-P) for officials of Indonesian prison institutions in Central Java. The workshop included participation of prison wardens and deputy-wardens from Nusakambangan prison services (Batu, Besi, Kembang Kuning, Narkotika, Permisan, Pasir Putih, and Terbuka) and from Semarang prison, and also included a number of central headquarters staff from the Indonesian Directorate General of Corrections (DGC). The workshop focused on providing strategic-level insight and technical expertise to corrections officials on developing institutional strategies in managing violent extremist offenders (VEOs), and identifying and addressing violent extremist radicalization and recruitment. Sessions included targeted discussions on practices in the daily administration, activities, and routines of a prison that impact VEO management and radicalization to violent extremism; practices preventing violent extremism and radicalization from undermining prison security, national security, and staff safety; practices in the effective and appropriate assessment of VEOs and violent radicalization; practices in implementing planned activities to prevent and/or reduce radicalization or recruitment to violent extremism; and practices to prepare VEOs for successful resettlement and reintegration into the community. This workshop is part of the Global Center’s CVE-P Program, which provides training and technical assistance to prison services on preventing and countering violent extremism. The project was established in partnership with the Global Counterterrorism Forum (GCTF) Detention and Reintegration Working Group (DRWG). The program is funded by the governments of Australia, the United Kingdom, Canada, the Netherlands, and New Zealand. For more information about this program please contact Sebastien Feve, Global Center London Office Director (sfeve@globalcenter.org).